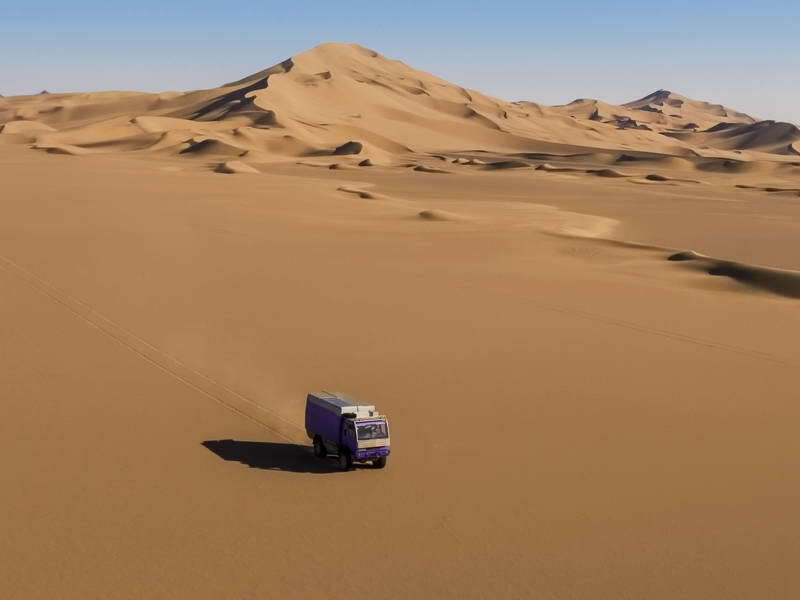 All Inclusive 7- Days Iran LUT Desert Tour to Do the expedition in LUT Desert in 4x4 Style . 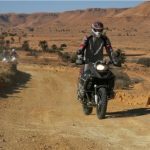 This Lut desert tour is intended to take you to the main desert of Iran Lut Desert . the voyage to visit the most famous and beautiful places in this region and unique natural attraction like Star Dunes , sand dunes, salt lakes and steppe-like plains with date trees , breathtaking Kalut formations and camel flocks and most interesting historical cities beside a desert like Shahdad, Kerman , And bam . 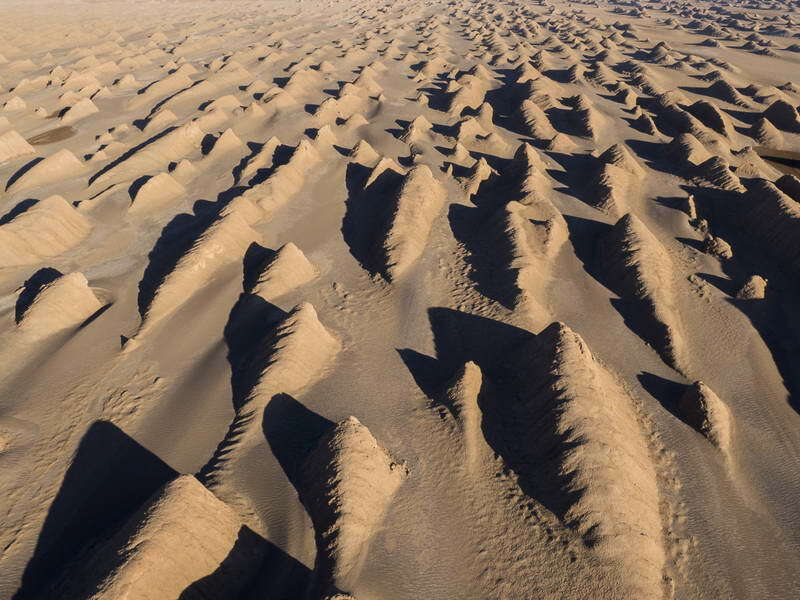 The Lut Desert, or Dasht-e-Lut (Wüste Lut ) is located in the south-east of Iran. Between June and October, this area is swept by strong winds, which transport sediment and cause aeolian erosion on a colossal scale. 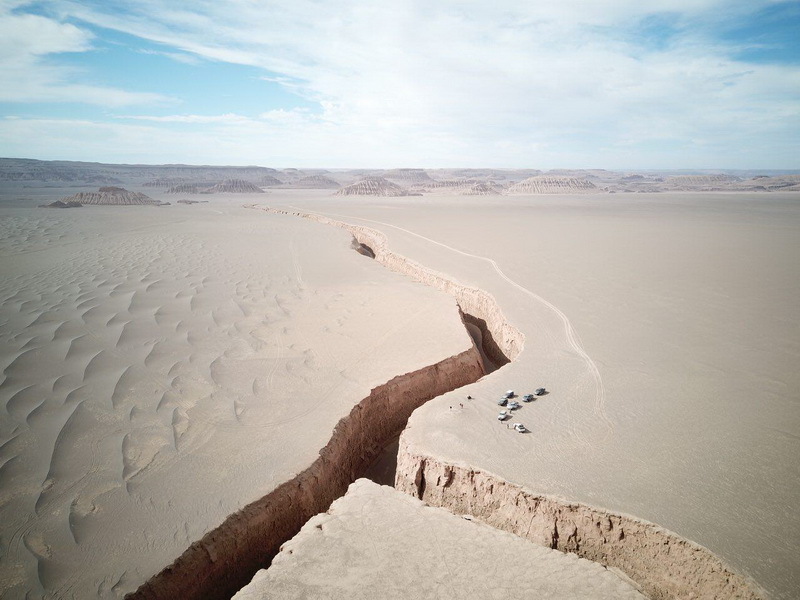 Consequently, the site presents some of the most spectacular examples of aeolian yardang landforms (massive corrugated ridges). It also contains extensive stony deserts and dune fields. The property represents an exceptional example of ongoing geological processes. 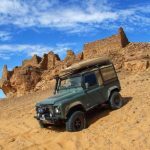 •	Discover the mystery behind Lut desert and the hottest place in the earth in Raid style in this Iran Desert Tour . in the second day of lut desert tour ( Iran Desert Tour ), We will drive to Gandom Beryan. The “ Gandom Beryan “ which is located 80 kilometres Shahdad, In the area of “Gandom beryan” that is an area of 200 km and 150 km wide there is No living and is not life and environmental conditions in such a way that there is no planter animal. in the 3rd day of lut desert tour ( Iran Desert Tour ) we will go through one of the Memorable Area which is Rig e Yalan . we will visit each area and leave the team for hours to find strange beautifulness in this area and find themselves by helping of great nature power . On The Day 4th of lut desert tour ( Iran Desert Tour ) , we will go toward a Zabane – e – Mar Canyon . This is also strange place inside a lut where you can see the canyon with the length of 2 kilometer in the hearth of the desert . on the way to Zabane Mar Canyon we will see mountain Kuh-i Malik Mohamad, which already served as an orientation for the Austrian traveler and researcher Alfons Gabriel. It was he who gave this mountain a name. In these days of Iran desert tour ,You will arrive in another strange place named Rig E Yalan . in this Area Also we would see so many memorable and unique scenery in the world , which you should just sit and find yourself in this strange place . These days are very special days in Lut desert tour and most of our traveler mentioning it as a best part . 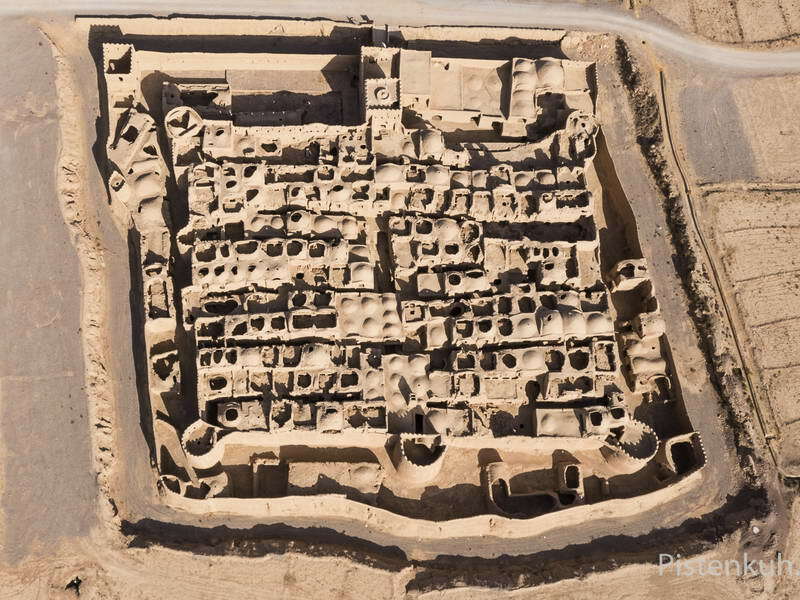 In the last day of Lut desert tour ( Iran Desert Tour ) , you will go on a day trip to the medieval citadel in Bam. It is one of the largest adobe structures in the world and was once one of the main attractions of the country. In 2003, the citadel was almost completely destroyed by an earthquake, along with much of the rest of Bam and its surroundings. It has been partly re-built and is definitely worth a visit. we will take a stroll to the old fortress, currently under . and it is end of your lut desert tour .